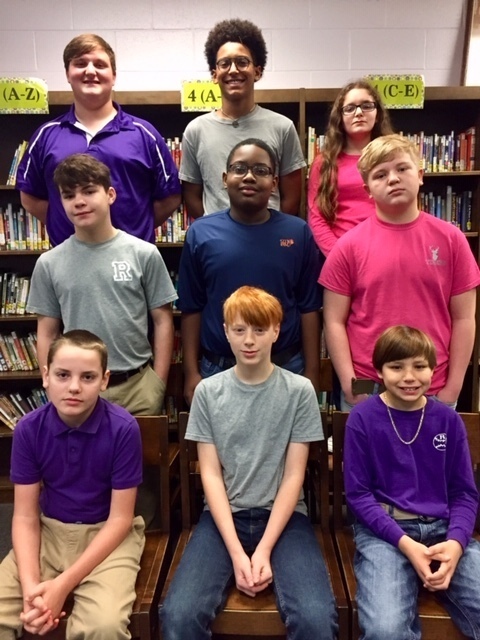 Students at Ripley Middle School participated in the annual school spelling bee. The top three winners for each grade level were awarded engraved medals. Additionally, the top three overall winners at the school-wide level were awarded trophies. 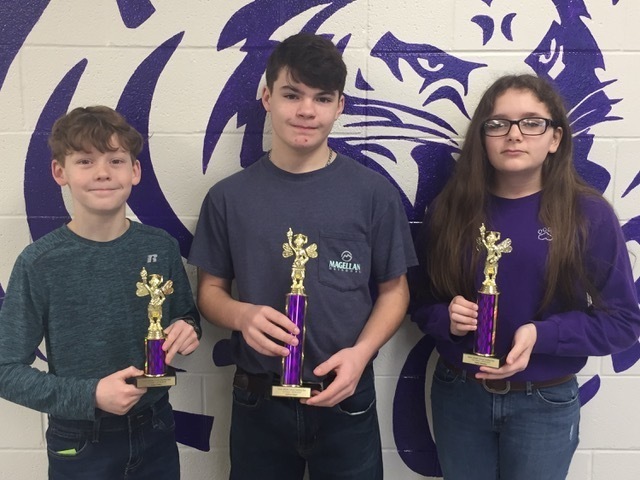 (Left to right) Liam Fullen - 3rd Place, Joshua Hearn - 1st Place, and Taylor Beasley - 2nd Place. 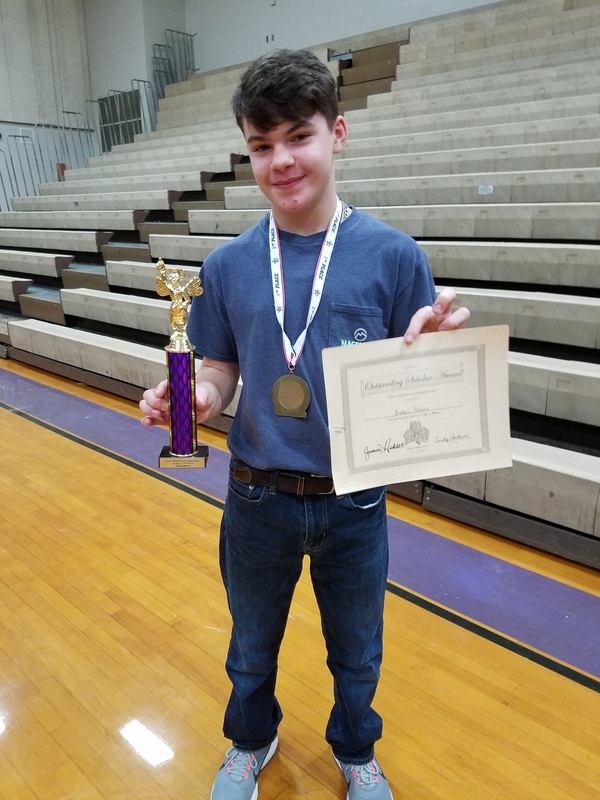 Joshua Hearn, a 7th grader, also qualified to compete in the Tennessee Titans Regional Spelling Bee in Nashville by scoring in the top 50 on an online test.